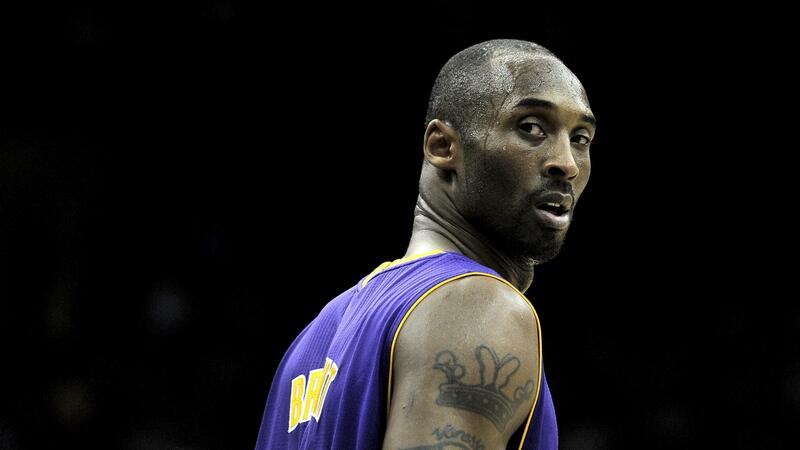 Kobe Is Somewhere Hoping LeBron Gets Swept… It cements him as the 2nd Best Behind Jordan in this 3 headed debated. We’re currently sitting on a 3-0 Warriors lead in these playoffs. LeBron has played very well but he just doesn’t have enough done to have anything in the win column. Is it his fault now? That’s to be determined and deciphered. There is 1 thing that would be made plain and simple if the Warriors sweep the Cavaliers tomorrow night, the Jordan AND Kobe conversation ends. It’ll just disappear like smoke in the wind. We’ve spent most of the last 2-3 seasons asking if LeBron is the GOAT. With that comes a direct comparison to Michael Jordan. To be the best, you must beat the best. It’s easy to see that LeBron has been topping Jordan in a lot of records. Blame can be put on what age they came into the league and the fact Jordan retired DURING his prime. Other fingers point to the heavy Eastern Conference Jordan had to deal with. He had so many rivals, especially in comparison to LeBron. Even LeBron tried to mimic the fact that Jordan had to go through the Detroit Pistons to become a champion. That led to him being swept out of the finals. After that happened, his only true rival had been formed in the form of the Big 3 Boston Celtics with KG, Paul Pierce, and Ray Allen. Rajon Rondo was on his was to greatness as well. James finally had to face-off a few times with the Celtics before deciding that he’d be better off fighting this monster by joining forces with Dwayne Wade and Chris Bosh in Miami. Mind you, Kobe Bryant is still apart of the terror that resides in the Western Conference. Kobe then fought with the Celtics twice and becomes a repeat champion after 3 finals visits. Fast forward to the Mavericks team that finally beat Kobe and became the NBA Champion against LeBron James and the Miami Heat. LeBron then becomes an NBA champion a year later versus Kevin Durant and the Oklahoma City Thunder setting up a dream rematch that we wouldn’t see for 5 years. LeBron then repeats against the San Antonio Spurs, giving him revenge and solidifying him as a champion. He then falls to the Spurs and goes back home to Cleveland. There, he takes them straight to the NBA Finals and loses to the Golden State Warriors. The next season, he posts an epic 1-3 comeback versus these same Golden State Warriors. Now to bring it full circle, we are looking at LeBron down 0-3 to the Warriors again. Now, should LeBron lose to these Warriors in a sweep, there’s one thing that would be cemented: He CANNOT be determined as the Greatest of All Time. Ever. He can’t even be placed as the second best, in my opinion, behind Michael Jordan. He will be etched behind Michael AND Kobe Bryant as the 3rd best between those 3 players. We’ve been overlooking Kobe for a long time and his legacy can be cemented with him simply sitting at home, retired. I’m sure he’s somewhere right now hoping that LeBron falls to the Warriors 4-0 in this NBA Finals matchup. It does nothing but put Kobe back into the conversation where he never truly existed AT ALL in the minds of many LeBron James fans. Rather it was because he was a facilitator that Kobe never was, rather he was “considered” the one who elevated his teammates, he was ALWAYS put over Kobe. We can debate rather Kobe made his teammates better or not, I thought he made them better players, taught them preparation, kept them all reeled in and uncomfortable with losing, and ultimately, made them step their game up to catch their last 2 championships. He didn’t have Shaq for the last 2. He had Pau Gasol who was considered SOFT and Andrew Bynum who was considered aloof and was often injured. Kobe gave his teammates toughness. Kobe was never swept out of the Finals. Kobe often played through injuries throughout most of his career and still played at an elite level most of his career before the Achilles injury. LeBron is standing on a floor of eggs shells right now and looking at the door that Michael Jordan entered. There’s two ways this can go, the likely scenario is that he will either fall through and drop a level, under Kobe, who he is eye to eye with, or he will post the greatest comeback and walk through that door. I’m sure Kobe is watching, waiting, hoping for his legacy to be cemented as 2nd best behind the mysterious ghost that is Michael Jordan. I’ll leave you with this, could Jordan win at least 1 game against this Warriors team? Could Kobe?